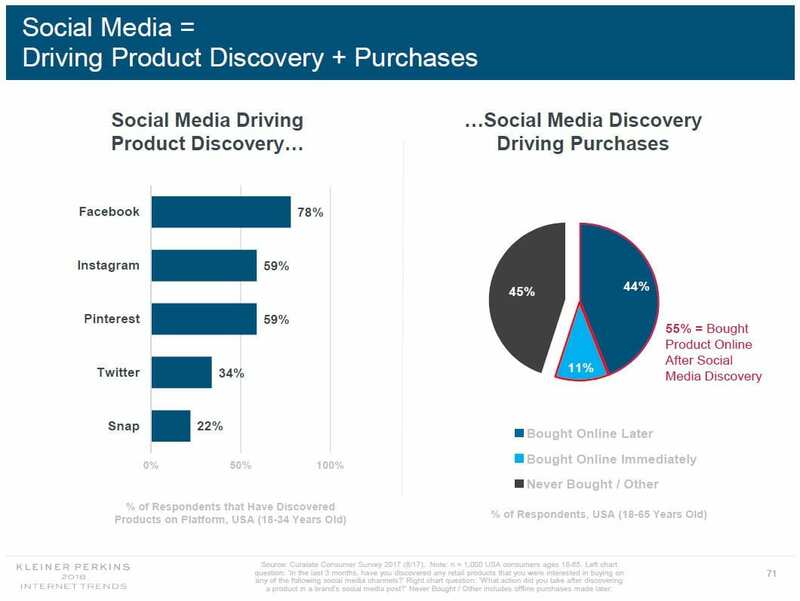 …and if anything deserves reflection, it is Mary Meeker’s report! The slides are embedded below, and Bryan Alexander has already explored these slides with an education lens. 2017 was the first year in which smartphone unit shipments didn’t grow at all. As more of the world become smartphone owners, growth has been harder and harder to come by. The same goes for internet user growth, which rose 7 percent in 2017, down from 12 percent the year before. With more than half the world online, there are fewer people left to connect. 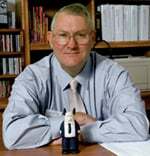 My thoughts – while the growth of smartphone shipments has slowed…the potential target population for higher ed elearning has still barely been scratched…and we need to make our elearning course designs more compatible with smartphones, looking for delivery of student-generated learning artifacts that show rigor without necessarily being APA compliant. People, however, are still increasing the amount of time they spend online. U.S. adults spent 5.9 hours per day on digital media in 2017, up from 5.6 hours the year before. Some 3.3 of those hours were spent on mobile, which is responsible for overall growth in digital media consumption. My thoughts – Looking at the last 8 years, desktop/laptop has dropped some, while mobile has exploded. Do our higher ed elearning courses reflect this? Despite the high-profile releases of $1,000 iPhones and Samsung Galaxy Notes, the global average selling price of smartphones is continuing to decline. Lower costs help drive smartphone adoption in less-developed markets. 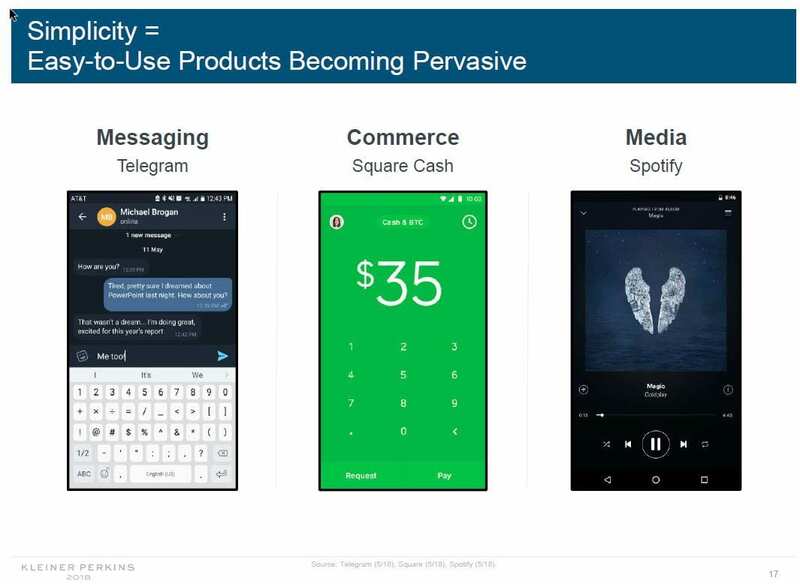 Meeker pointed out that devices are better, faster, cheaper, and easier to use…leading to pervasive use. This ties in with Kelly’s 12 forces. Voice-controlled products like Amazon Echo are taking off. The Echo’s installed base in the U.S. grew from 20 million in the third quarter of 2017 to more than 30 million in the fourth quarter. I am fascinated by the growth of smart objects like Echo…and Northeastern will be issuing incoming freshmen Echo’s for their dorm rooms. Should we be looking at the design of elearning activities that leverage voice-controlled products (…and if we do, will we be excluding the have-nots?)? 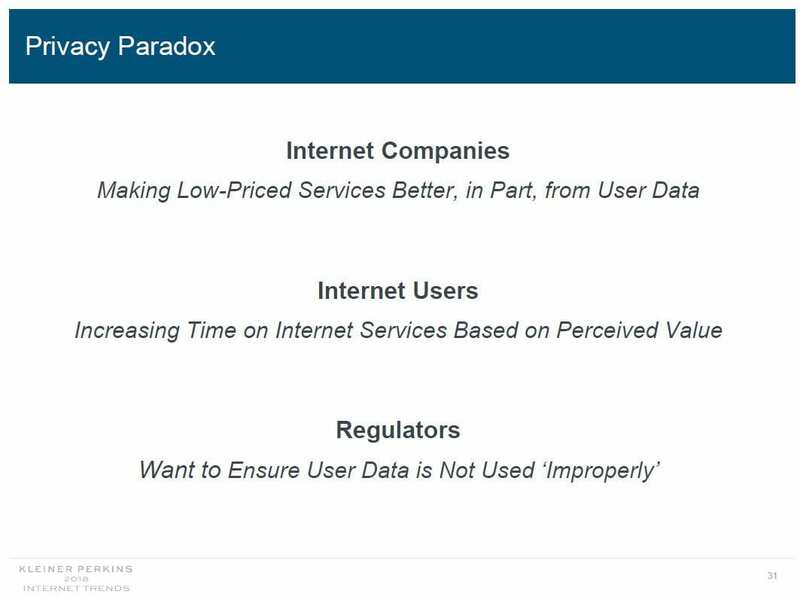 Tech companies are facing a “privacy paradox.” They’re caught between using data to provide better consumer experiences and violating consumer privacy. In my own classes, I have stopped using Facebook as a discussion platform…even though I think it provides a richer discussion vehicle over Blackboard or Canvas. But I am concerned about requiring my students to enroll when I do not really know how the company is using their personal data. Of course, the same could be said of Twitter and Diigo and a dozen other social media tools that we have adopted over the years! 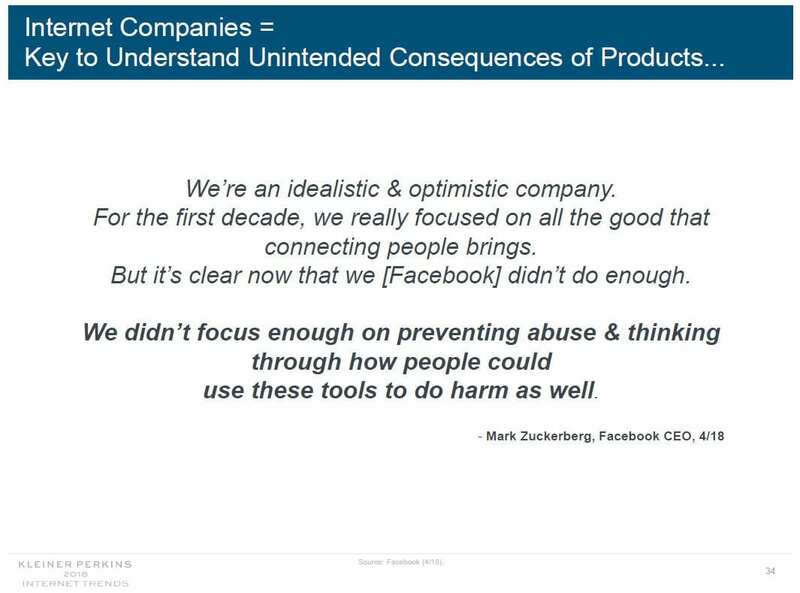 As Meeker noted, it is crucial to manage for unintended consequences…but it is irresponsible to stop innovation and progress. I agree! Tech companies are becoming a larger part of U.S. business. In April, they accounted for 25 percent of U.S. market capitalization. 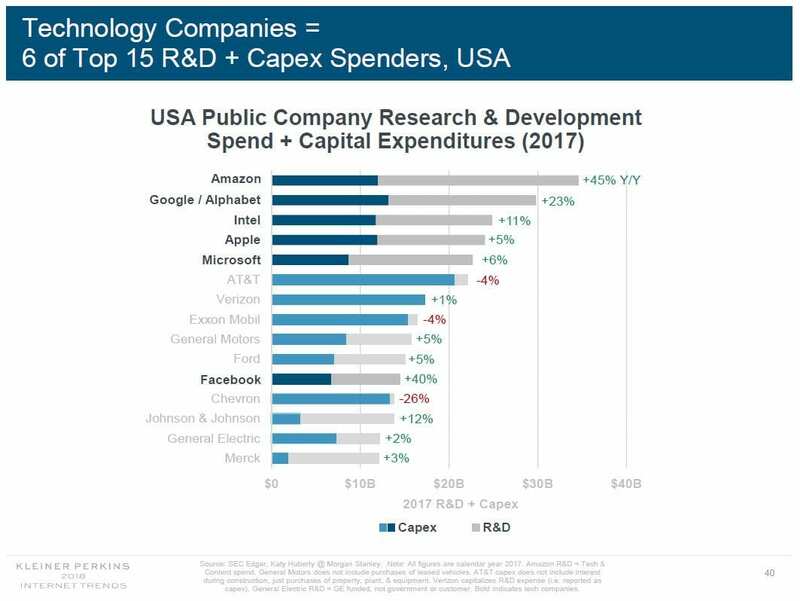 They are also responsible for a growing share of corporate R&D and capital spending. This is an interesting slide…but I am assuming that defense department research is not being counted here…so wondering what the true picture is? Big tech is competing on more fronts. Google is expanding from an ads platform to a commerce platform via Google Home Ordering. Meanwhile, e-commerce giant Amazon is moving into advertising. 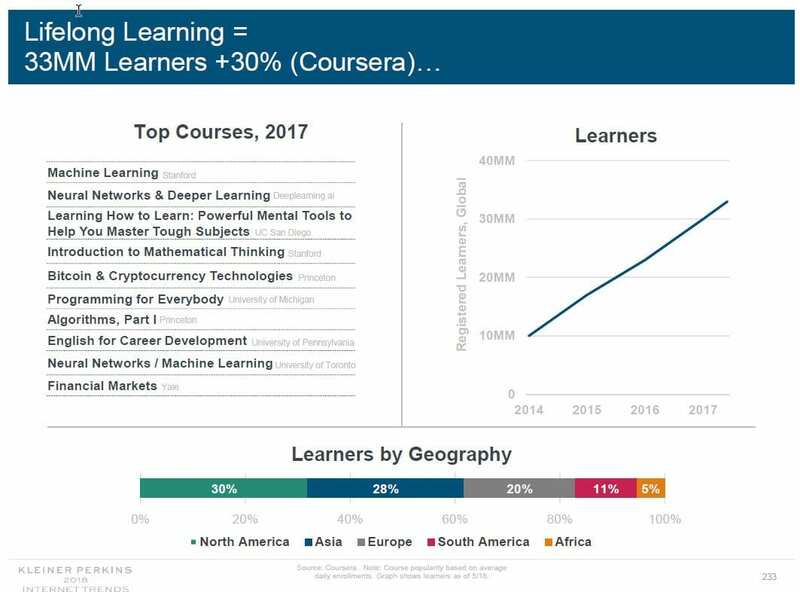 Given that I teach a course on Social Media and Education, this slide has implications for not only course design…but course recruitment and marketing! Expect technology to also disrupt the way we work. Just as Americans moved from agriculture to services in the 1900s, employment types will again be in flux. This time, expect more on-demand and internet-related jobs to predominate. 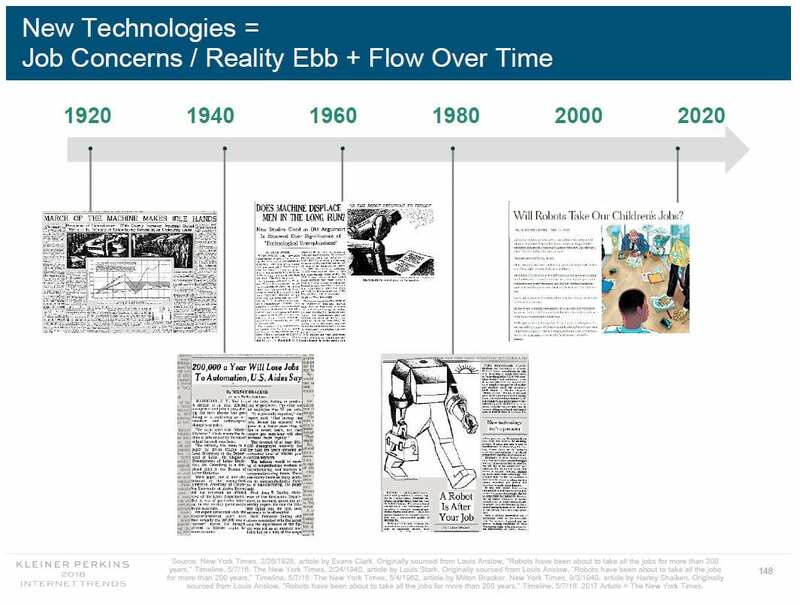 Meeker makes a good point that the current worry over AI taking jobs is nothing new. Meeker also noted that the USA data leaders (Amazon, Google, Facebook / Instagram, Netflix, and Booking / Priceline) have focused on and exceeded national norms for customer service…and that this expectation of high personalization and high satisfaction bleeds over into other industries. It raises questions about our own “service” in higher education. 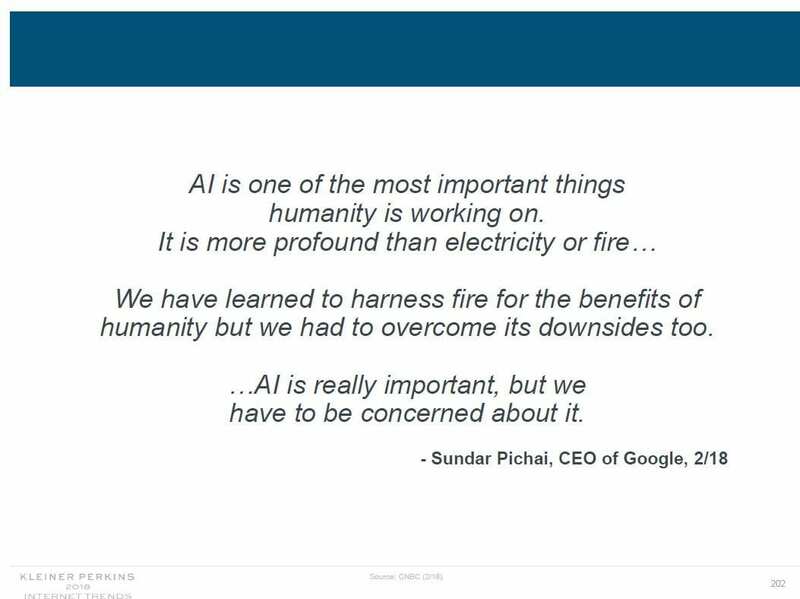 Meeker also quoted Sundar Pichai, CEO of Google, regarding AI. I continue to hope for AI that augments my abilities to facilitate learning! And we will need augmentation as we increasingly try to scale lifelong learning. Meeker noted that more than 50% of freelancers had updated skills within the past 6 months. If we are indeed moving to a gig economy, this has huge implications for higher ed and elearning marketing! The semester and quarter system might finally be out of date! 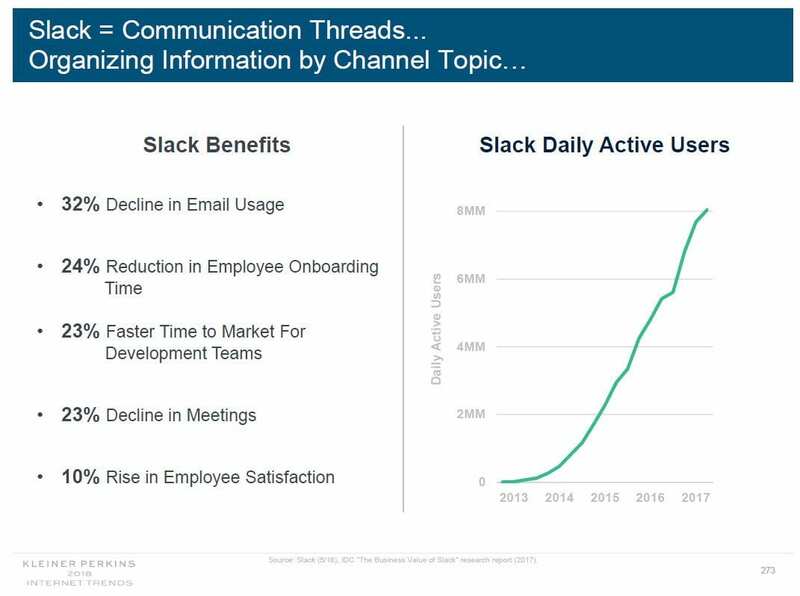 And the slide on Slack has me again wondering if it is now time to update the Social Media course and switch from Twitter to Slack as the communication vehicle? So those are my thoughts. 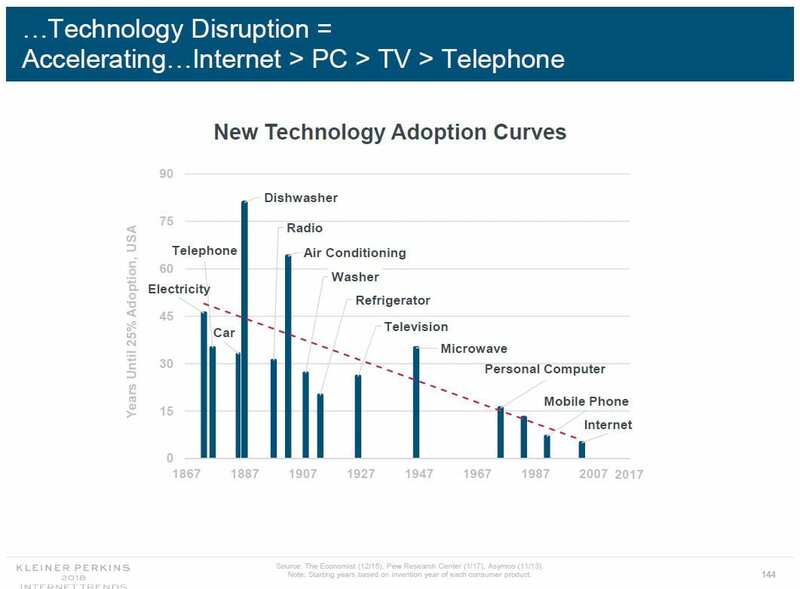 Mary Meeker has once again pushed my thinking!